1. Oguta Lake: Oguta Lake is the biggest natural lake in south eastern Nigeria. Located in the town of Oguta in Imo State Nigeria. Oguta Lake has its major source as Njaba River, which is the major inflow to the late. The lake has three other tributaries tributaries namely Awbana, Orashi and Utu. Oguta lake which is about a mile and a half (2.41km) wide and 5 miles (8.05km) long from east to west is a beautiful body of water and a major source of attraction in Imo state. 2. Nike Lake: Nike Lake is the most popular lake in Enugu state and one of the most popular in Nigeria, Located in the town of Nike in Enugu East Local Government area of Enugu State. Nike lake was made popular as a result of the Nike Lake resort and hotel built within the lake environment. The Nike Lake resort and hotel serves as an ideal spot for leisure and picnicking. The famous Nike lake resort and hotel which is located within the lake environment offers accommodation, a beautiful edifice comprising of 216 air-conditioned bedrooms and suites of International standard. The hotel has an excellent restaurant, cocktail bar, lounge and business center with the largest conference hall in Enugu. 3. Agulu Lake: Agulu lake is a popular tourist attraction in the Anambra state with hundreds of crocodiles and turtles. Located along Awka road, Umuowele village in Agulu town, Aniocha Local Government Area of Anambra State, The Agulu Lake has so many mysteries surrounding its existence, mysteries which still hold and believed in till date. 4. Okposi salt Lake: This is a salt lake located in the town of Okposi in Ohaozzara local government of Ebonyi state. Aside from being one of the many attractions in Ebonyi state, Okposi salt lake has enormous economic importance as It serves as the economic base for most of the rural women in okposi. 5. Iheneke Lake: Located in Obinofia Ndiuno in Ezeagu local Government area of Enugu state. Iheneke is a tropical lake with maximum density during the warmest season. During the rainy season, the lake is said cools and then cools further as harmattan advances. Iheneke is the second most visited lake in Enugu state after the nike lake, and a very lovely place to rest and relaxation. 6. Abadaba lake: This is the second most prestigious lake in Imo state after Oguta. Though abandoned and not developed optimally for tourism, the Abadaba lake is an interesting and adventurous place to visit. The lake has a temperature of between 260C to 320C during the June to September raining season, while the nights are cool during this same period with the lowest temperature ranging from 100C to 1200C. If you intend visiting the lake during the rainy season, get set for a long adventurous drive from Owerri and ensure you have your raincoats and boots on. The lake is situated between the serene villages of Odenkume and Okwuohia and another small village called Umuezegwu – which is also beautiful place worth visiting. 7. Opi LAke System: Opi lake system are group of lakes situated in the town of Opi in Enugu State. Opi lake system are nine lakes which are connected to one another to form a network. The lakes are Iyi-ikpa, Varavara, Ogeleube, Iyiuga, Isiogba, Ojii, Orufu, Adekwegbe, Okpo, (the largest among the lakes are ojii and Adekwebge ). Ojii is located at Ugwu-ozioko and is about 9m deep and 7km wide. Its depth and width enables the smooth movement of locally made canoe from one end to another. The nine Lakes are a tourist attraction in Opi because of its natural environment. 8. Amaokpala Lake: This is a long and still lake at the outskirts of the Amaokpala town. Located between the town of Amaokpala and the Polytechnic town of oko, The lake is as quiet as the Dead Sea and no aquatic life has been recorded in it. Amaokpala lake also serves as a picnic site and top spot for people within the polytechnic town of Oko and its environs. 9. Green Lake, Abakaliki: The Abakaliki Green Lake is located right inside Government House. The Green Lake serves as an ideal spot for leisure and relaxation as Small huts are built there for relaxation and for visitors to admire the many wonders of nature. 10. Ogurugu Lake: is situated in the town of ogurugu in uzo uwani local Government area of Enugu state. The lake is the largest in Enugu state and is fed through the Anambra river. 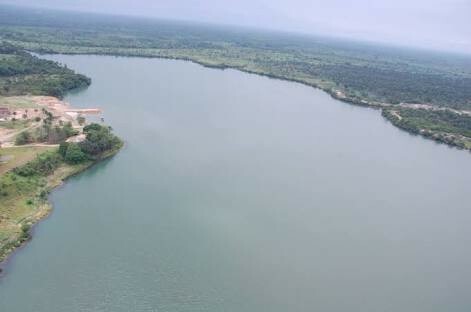 Ogurugu lake serves as one of the major source of water and transportation to the towns of Ogurugu, Iga, Ojo, Asaba and Adani who are mainly rice-farmers. Obudu Plateau and Mountain Resort. Number One Tourist Destination In Cross River state.